Top Notch Material: Welch's #Sharewhatsgood for a chance to win $5,000! 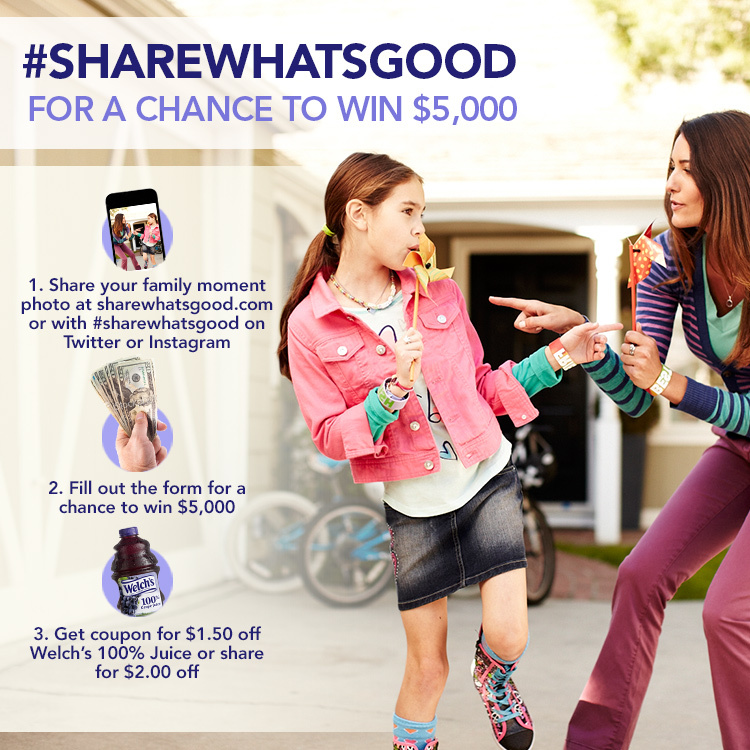 Welch's #Sharewhatsgood for a chance to win $5,000! My favorite family moments are simply the ones that happen everyday. I am so blessed to have two beautiful boys who are over five years apart. Many days, it felt like I completely started over from scratch but watching my older son form into this amazingly funny and protective big brother warmed my heart. I have been very proud of him for many things in his six years, but the way he treats his baby brother makes me proudest. You can just see the love glowing from his little brothers eyes! Welch's wants you to share what is good in your life with them. From 9/16 to 10/25 upload a photo of your favorite family moment for a chance to win $5,000! While there is only one grand prize, everyone who enters will get a $1.50 coupon for Welch’s 100% Grape Juice – or $2.00 if you share the news. Visit Sharewhatsgood.com to enter. "Welch’s believes in the magic of “kitchen table” moments, and has been helping families enjoy them for generations. In the time it takes to drink a glass of juice or share a sandwich, a special moment can happen. That’s why Welch’s just launched a new movement called “Share what’s good™” It’s all about sharing those special moments that occur each day with family, friends and loved ones – whether it’s at home or on the go. At Sharewhatsgood.com you’ll find a variety of great content from fun family ideas to delicious recipes. 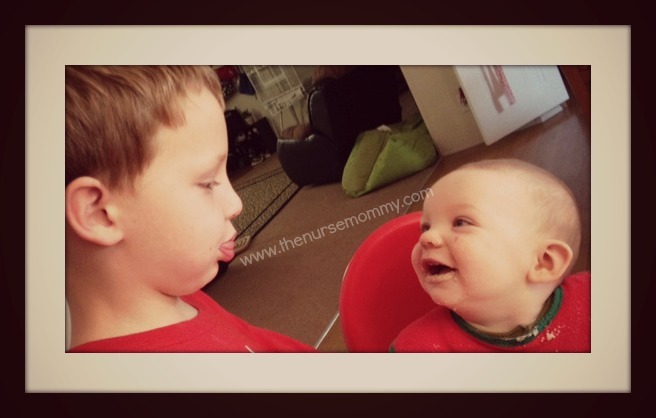 You can share photos of your every-day moments and see how others are doing the same."